Leak Detection | Brooks Plumbing Co.
Don’t Let These Leaks Hide From You! There are a number of incidences that can impact your plumbing system. One such incidence is a leak—but not all are created equal. While some leaks are obvious—a dripping faucet or a loose connection under your kitchen sink—some can be a little more subtle (and yet, lead to hundreds and thousands of dollars in damage). We’re talking about things like slab leaks. 24-7 plumbing services are available, but we’d like to help you avoid an emergency to begin with. 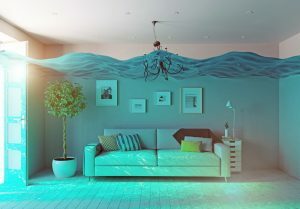 There are signs you can watch and listen for which indicate you may have a slab leak, pinhole leak behind a wall, or some other form of water loss that could lead to a bigger problem. Posted in Plumbing | Comments Off on Don’t Let These Leaks Hide From You! With the possible exception of clogs, no plumbing issue is more common than leaks, which can bedevil even the most immaculately maintained plumbing system. A leak that spreads water across your kitchen floor is fairly obvious, but few of them announce themselves so readily. Indeed, many of them are so subtle as to avoid detection for month, which can cause far more damage than just the leak itself. Plumbers here in Olympia, WA can apply high technology such as infrared sensors and miniature video cameras inside the pipes themselves to pinpoint the leak. But before you can call them, you need to notice the leak itself and call for assistance. Here are 3 methods of leak detection you can utilize without the need for fancy equipment. 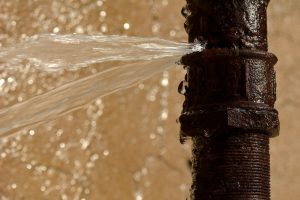 When you notice a leak in your Tumwater home, you fix it right away, but what happens when you don’t notice a leak for days or even weeks? The damage it causes can have a profound impact on your water bill and the good repair of your home. To avoid hidden leaks – the ones that hide in your walls or your yard, keep a close eye on your water meter. Obvious leaks are…well, they’re obvious. They pour water down the walls, leave puddles in your bathroom or create ponds in your backyard. Unfortunately, the majority of leaks are much less obvious. They result from small drips between pipe joints in your walls or a hairline fracture in your water main or drain pipes. They may not even appear where you can see them. If this happens, it’s important to have a keen eye for the signs that a water leak has occurred. Specifically, look for jumps in your water meter readings. Your water meter tracks every drop of water consumed by your family. To check for water loss, record the reading at the same time every day and watch how it changes. To be sure of a leak, you can turn off all the fixtures in your home and watch for the meter to move. If the meter moves despite the fact that no one in your home is consuming any water, it is likely a leak. You can also compare your bills from one month to the next. If your bill rises suddenly, without any clear reason, check the meter readings and the rates. If the meter reading increased suddenly and the water rate did not, there might be a leak to blame. If that’s the case, call a professional to inspect your water lines immediately – what is hidden to you might be a relatively obvious, straightforward repair to someone else.